Definition at line 3247 of file CCopasiXMLParser.h. Definition at line 3255 of file CCopasiXMLParser.h. 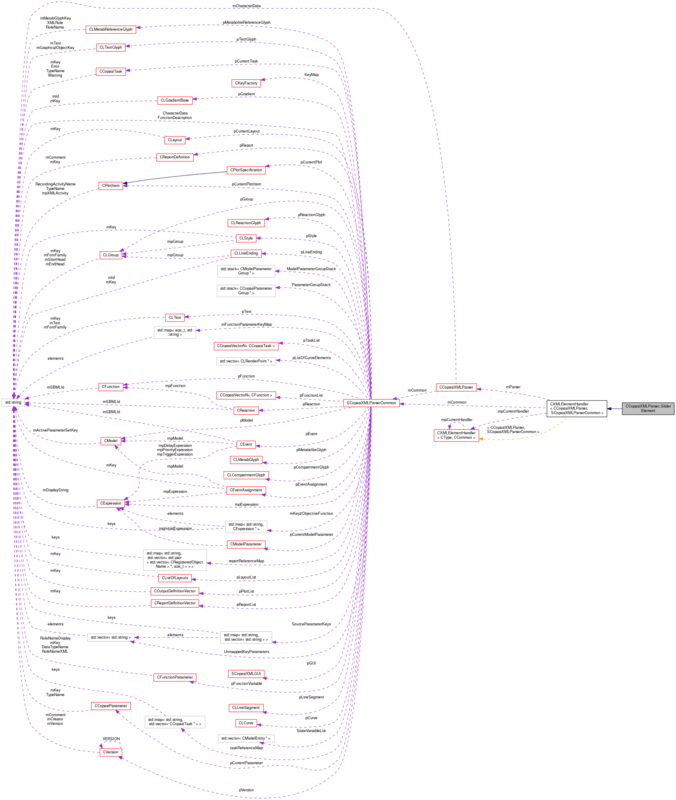 Definition at line 10662 of file CCopasiXMLParser.cpp. 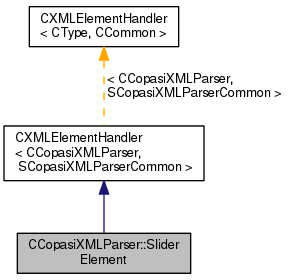 Definition at line 10667 of file CCopasiXMLParser.cpp. Definition at line 10757 of file CCopasiXMLParser.cpp. Definition at line 10672 of file CCopasiXMLParser.cpp. References CCopasiVector< T >::add(), C_FLOAT64, C_INT32, CSlider::convertScaleNameToScale(), CCopasiMessage::EXCEPTION, CSlider::Float, CKeyFactory::get(), CCopasiObject::getKey(), SCopasiXMLGUI::getSliderList(), SCopasiXMLParserCommon::KeyMap, CCopasiXMLParser::mCommon, MCXML, CExpatTemplate< CExpat >::mParser, SCopasiXMLParserCommon::pGUI, CSlider::setAssociatedEntityKey(), CSlider::setMaxValue(), CSlider::setMinValue(), CSlider::setScaling(), CSlider::setSliderObject(), CSlider::setSliderType(), CSlider::setSliderValue(), CSlider::setTickFactor(), CSlider::setTickNumber(), strToUnsignedInt(), toEnum(), CSlider::TypeName, and UNKNOWN_ELEMENT. 10717 // This is always the case if the XML is conforming to the schema.